 Stieglitz, S. and Dang-Xuan, L. (2013) Emotions and Information Diffusion in Social Media-Sentiment of Microblogs and Sharing Behavior. 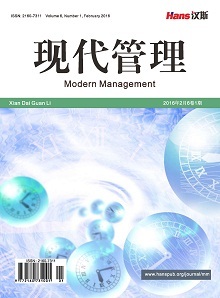 Journal of Management Information Systems, 29, 217-247. Daley, D.J. and Kendall, D.G. (1964) Epidemics and Rumours. Nature, 204, 1118. Daley, D.J. and Kendall, D.G. (1965) Stochastic Rumours. IMA Journal of Applied Mathematics, 1, 42-55. Kawachi, K. (2008) Deterministic Models for Rumor Transmission. Nonlinear Analysis: Real World Applications, 9, 1989-2028. Moreno, Y., Nekovee, M. and Pacheco, A.F. (2004) Dynamics of Rumor Spreading in Complex Networks. Physical Review E, 69, 066130. Nekoveea, M., Morenob, Y., Bianconic, G., et al. (2007) Theory of Rumour Spreading in Complex Social Networks. Physica A, 374, 457-470. Roshani, F. and Naimi, Y. (2012) Effects of Degree-Biased Transmission Rate and Nonlinear Infectivity on Rumor Spreading in Complex Social Networks. Physical Review E, 85, 036109. 王长春, 陈超. 基于复杂网络的谣言传播模型[J]. 系统工程理论与实践, 2012, 33(1): 203-210. Gade, P.M. and Sinha, S. (2005) Dynamic Transitions in Small World Networks: Approach to Equilibrium Limit. Physical Review E, 72, 052903. Moreno, Y., Pastor-Satorras, R., Vazquez, A. and Vespignani, A. (2003) Critical Load and Congestion Instabilities in Scale-Free Networks. Europhysics Letters, 62, 292-298. Pluchino, A., Latora, V. and Rapisarda. A. (2005) Changing Opinions in a Changing World: A New Perspective in Sociophysics. International Journal of Modern Physics C, 16, 515. Li, J. and Myers, S.C. (2006) R2 around the World: New Theory and New Tests. Journal of Financial Economics, 79, 257-292. 卞曰瑭, 李金生, 何建敏, 庄亚明. 网络近邻择优策略下的股市羊群行为演化模型及仿真[J]. 中国管理科学, 2013, 21(3): 40-49. 何敏华, 等. 基于无标度网络拓扑结构变化的舆论演化模型[J]. 物理学报, 2010, 59(8): 5175-5181. Liu, Z. and Hu, B. (2005) Epidemic Spreading in Community Networks. Europhysics Letters, 72, 315-321. Yan, G., Fu, Z.Q., Ren, J. and Wang. W.X. (2007) Collective Synchronization Induced by Epidemic Dynamics on Complex Networks with Communities. Physical Review E, 75, Article ID: 016108. Chen, J., Zhang, H., Guan, Z. and Tao, L. (2012) Epidemic Spreading on Networks with Overlapping Community Structure. Physica A, 391, 1848-1854. Liu, N., An, H., Gao, X., Li, H. and Hao, X. (2016) Breaking News Dissemination in the Media via Propagation. Physica A, No. 453, 44-54. 程寅钊, 徐涛, 彭勤科, 周伟. 具有社团和个体差异性的舆论传播动力学分析[J]. 系统工程学报, 2012, 27(4): 431-438. Pluchino, A., Latora, V. and Rapisarda, A. 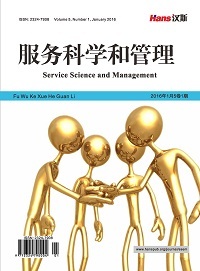 (2006) Compromise and Synchronization in Opinion Dynamics. The European Physical Journal B, 50, 169-176.